Renewable energy generated from wind, sunlight, water, biomass, and geothermal heat is the new technique to satisfy the need of electric consumption in Europe and other parts of the world. It reduces the use of natural oil, gas, and coal, which pollutes air and water in making of power. Renewable energy does not pollute the natural resources and environment but has an impact peculiarly different from the electricity produced with natural extraction. With the rise in electric consumption, Europe had to select renewable energy. Forecasts of 50% of electricity from wind, hydro, solar or biomass by 2030 seem to be in progression. Countries attempt to be carbon free and Sweden, Costa Rica, Nicaragua, Scotland, Germany, Uruguay, Denmark, China, Morocco & the US are in the top 10. Renewable energy resources like solar and hydro in Europe are a challenge due to climate being averagely hot and severely cold during most of the year, impacting energy production. Consumption during the cold season is high when compared to the production from non-carbon releasing sources. Even with the challenges, Europe is a leader in the development of renewable energy. Scientists and wildlife experts are concerned about the animal and bird habitat and survival in the long run. i) Hydro Energy: The water body based energy production requires dams, rivers, or seas to run the turbines and carry cables with electricity causing an obstacle in the water animals’ migration path. During high tide, the fishes and other water animals caught in the turbine blades are prone to injury and may die. Capturing tidal energy is difficult as the tides force is only twice a day. Tides carry nutrients useful for the ecosystem and turbines interrupt this process. The movement of plants and animals during the tide time is disturbed, especially when certain species are dependent fully on the sea sources. E.g., Coral reefs are dependent on ocean currents to release larva, the ones located in shallow waters are at the highest risk of death. The higher magnetic fields created by turbines can pull out the small fishes, shrimps, oysters, snails etc form the rocks within the rivers and seas. The habitat in the intertidal zone provides food for many of the birds, large fishes, and water animals face shortages. Water world and marine life directly impact human food sources. Drying of water bodies is a severe problem; this also means the dams built on the rivers may have lesser water to generate hydro energy. 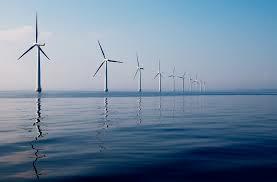 ii) Wind Power: The electricity produced using wind turbines cannot contaminate air and still impact the wildlife. Birds caught in the moving wind turbines are either handicapped or die and many face minor injuries. Not all birds will be lucky to get treatment from a vet doctor. The noise is the only pollution that these windmills create, but that is harmful to the birds and animals. It affects their sleep quality and overall health. Land used in the installation covers large areas; it bans local people and animal entry restricting the wildlife movement. Research in wildlife behavior can reduce the death rate of birds due to the wind turbines. National Renewable Energy Laboratory in a survey threw light on the comparison of land utilized and power generated; the idle land should be utilized for agriculture, cattle grazing or for other purposes. It also suggested the windmills to be set up on deserted or underused industrial land. iii) Solar Power: The high heat generated through the mirrors installed (in case of solar thermal plants) increase the risks of burns in birds and insects. According to a report, it’s best to have leopard gecko in habitat at home because of these changes. The higher amount of heat is sufficient to kill small birds and insects or at least damage their wings. The solar panels look like water bodies from above and birds flying in sky land on it without noticing. The birds which mainly remain in and above water, fly distances in search of water can even die due to overheat or inability to initiate flight from the smooth surface. iv) Biomass power: No matter the material burned is organic but the pollutants will come into existence and affect human, animal and bird health. The cutting of trees and plants for the base of electricity generation instead of fuel is dangerous for the thinning forests, loss of plants and trees species and has a direct impact on wildlife and global warming. Renewable Energy Targets set by the EU for each country indicates the generation of power without the use of natural oil, coal, and gas. If these targets also include the environment safety and relocating habitats, united efforts by mankind can save forests, animal kingdom, and mankind itself. The guidelines by the committees for production should include the precautionary measures and co-operation from wildlife experts, researchers, and the project owners jointly and adorningly can save the wildlife in Europe. The manipulation of climate reality in the environment is impossible, though we may fool ourselves with misleading datasets to soothe us. The coal and fuel savings prioritized currently and environment overlooked may save us from costs and efforts temporarily but the after effects can be devastating and irreparable. Renewable energy has a higher production of electricity than that from using coal and natural gasses. Europe a leader in renewable energy, should shoulder the responsibility towards the environment we live in along with other species before we lose the opportunity to rectify the setbacks. About the Author: Harsh Arora is a proud father of four Flemish Giant Rabbits and a leopard gecko. Besides being a full-time dog father, he is a freelance content writer/blogger and an educationist, with more than 6 years experience in the field of content writing.